Two cards today so scroll down to see the other. 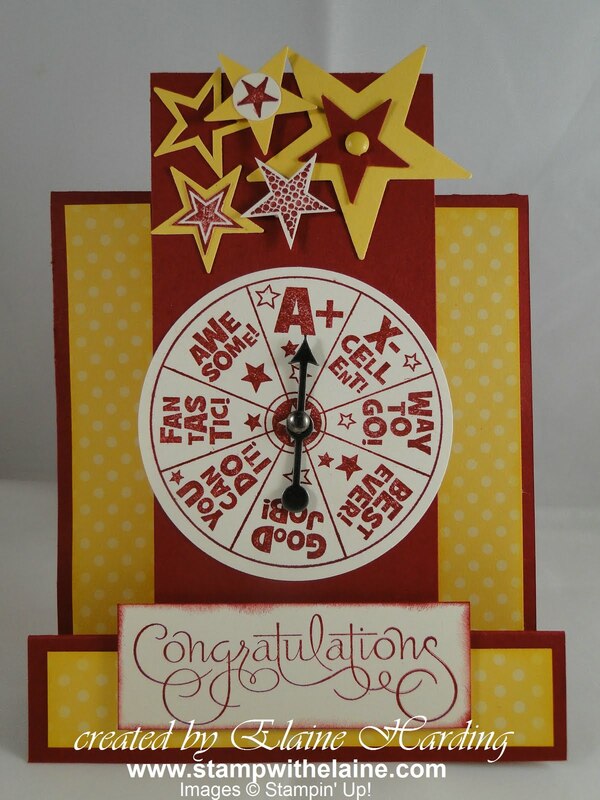 I thought I'd share this type of card using a different colour combo of the spinner card I made earlier which can be seen here . I had so much fun making the first one, I couldn't resist making another for a very special lady - she knows who she is! This time I used the Seeing Stars set to decorate the top. 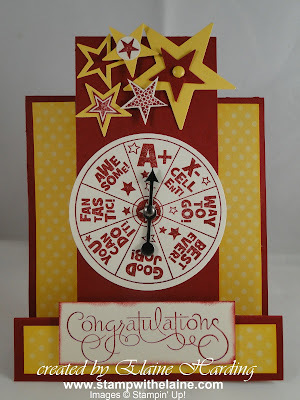 I cut out the centre of the smaller top left Daffodil Delight star with a craft knife so that the Cherry Cobbler card base would show through from underneath. I used the Brights DSP stack cutting a strip 3/4" x 12" then divided it in 4" sections, inked the edges in Daffodil Delight before adhering to the three panels as shown. 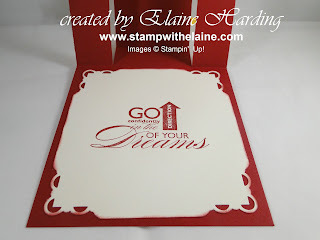 I stamped the sentiment on Very Vanilla cardstock, inked the edges in Cherry Cobbler, attached dimensionals on the lower half and adhered to the bottom panel. Next I stamped the "wheel", inserted the brad through the hole in the arrow and attached to the card. Here's the inside. 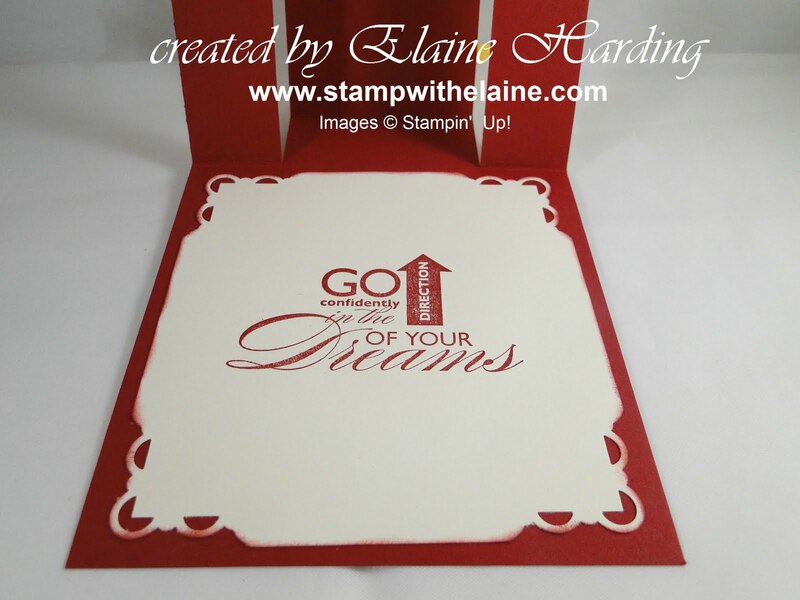 I used the Scallop Corner Trim on each corner and inked the edges before adhering to the card base. The stamps are from my personal collection except for Seeing Stars which is available in our current catty (page 68 in wood mount only @ £21.95, comprising of 8 images). Now scroll down for the next post. Enjoy your Sunday.